Are you planning a Eco-friendly or green event? 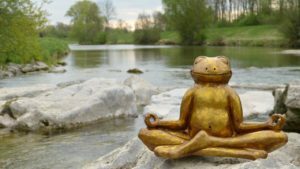 Are you having a trying time dreaming up unique ideas to decorate with that will W-O-W your clients and their guests for your Eco-friendly events? Live plants and trees are a true “green” decorating trend that is catching on and growing for all types of events from weddings to corporate events. 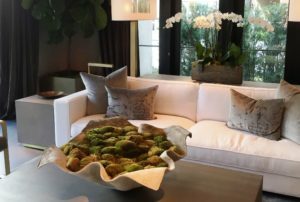 Decorating with live plants is a creative way to bring the outdoors in, and make interior spaces more inviting. 1. Feature: They are brought in and placed by a professional company; they are picked up as well. Benefit: No trash, pick-up or clean-up is needed by your wedding party or friends and relatives. 2. Feature: They are eye pleasing, add a natural feel plus they can be functional and there is no waste. Benefit: Green is considered a neutral color, plus blooming plants can be used to coordinate with the color theme of the event. Plants and trees can be set up to guide traffic or hide unsightly areas without having people give directions or having to post signs. Benefit: Findings have shown that our physical health depends on influences of nature the human bond with nature. 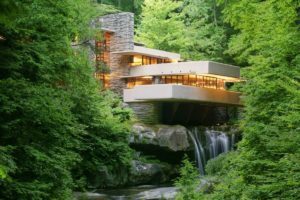 Biophilic design can reduce stress, clarify thoughts and improve our well-being. 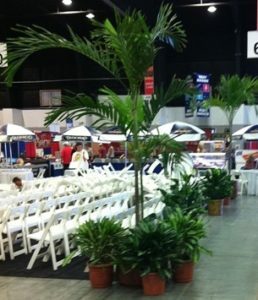 This makes live plants perfect for weddings, parties or trade shows and corporate events! 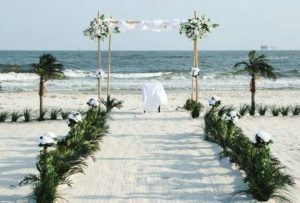 Beach weddings are popular and pretty although the beach can be lacking in direction and placement for attendees. 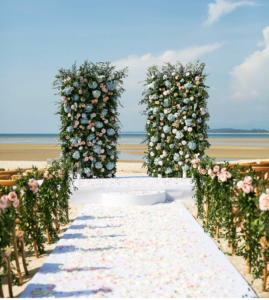 Plants can lead the way to the seating and to the alter plus they add color, beauty and romance! 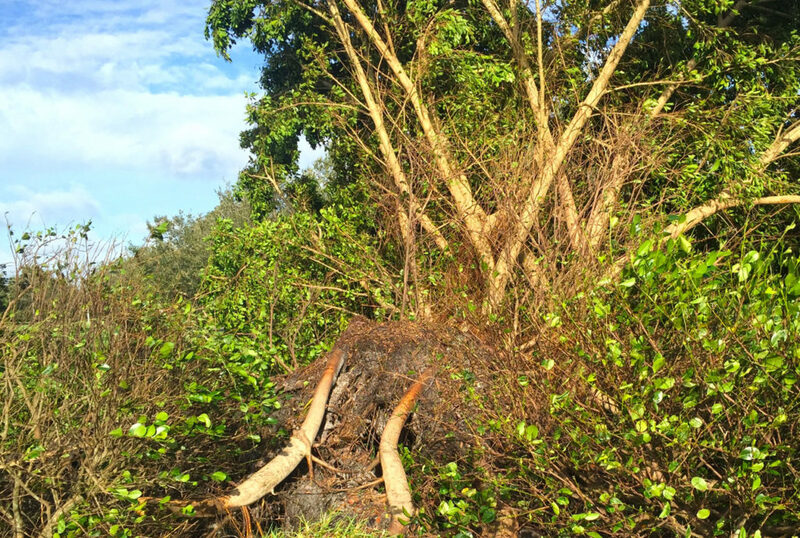 Trees and plants can define areas or hide unsightly areas, too. 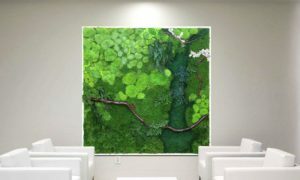 Living walls with floral or with green plants are a big style trend. They are designed to coordinate with the events color trends. Living walls are a beautiful backdrop for photos of the wedding party, and guests love them as they make your event very memorable! In addition no plastic or debris will blow away or be left behind and no clean up. The big plus is that plant rentals are not as costly as cut flowers! Plants and trees will camouflage unsightly poles and columns used for tents and other temporary cover. The greenery will add beauty to the event too! An additional advantage is that there is minimal clean up, your plant rental service picks them up and takes them away to be cared for and utilized for another event, and that is a form of recycling! 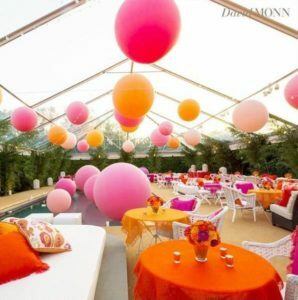 David Monn a prominent designer and event planner utilizes plants and trees for quite a few of his events. We love this example of his work. 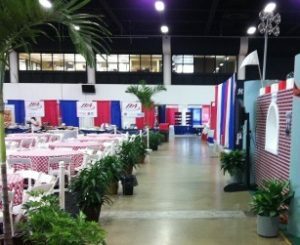 Trees are great for trade shows. Plants and trees guide visitors through isles and soften the harsh open spaces at a trade show convention halls. The nominal fees make good impact on your budget. Plants will also help cleanse the air of toxins as they absorb gases such as carbon dioxide and VOCs (volatile organic compounds) and Benzene found in some plastics, fabrics, motors and machinery. Plants and trees around the entire space make the room more inviting for visitors. Trees can also mark an area, guide traffic or to hide unsightly wires, supplies or as seen here they are camouflaging a trailer. 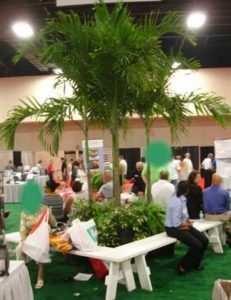 We love his relaxing park bench seating area for tired attendees that is created around plants and trees at a food industry trade show. 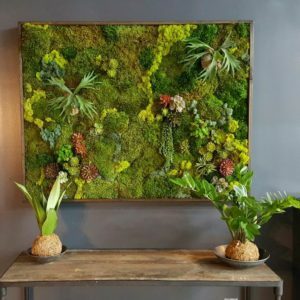 Plants, trees and living walls can be rented through your local plant rental service. They typically have consultants that will visit your venue and help with design, layout tips and plant and tree suggestions. 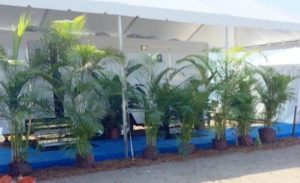 You can find a reputable local plant rental service here Plant and tree rentals. Office spaces with plants have happier, more productive workers. In fact, a 2014 University of Exeter field study found that green plants increase worker productivity by 15%. In today’s competitive space, that could translate to thousands, even millions of dollars added to the bottom line, especially when you consider lower employee turnover, fewer sick days, and staff that are more focused on the tasks at hand. 6% improvement in sleep quality at day’s end. 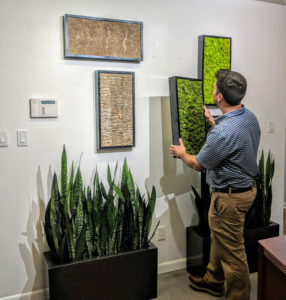 If adding plants to the office can increase performance of workers compared to those who work in conventional office spaces, it could be surmised that adding plants alone would “pay for” the capital costs and maintenance of green improvements. 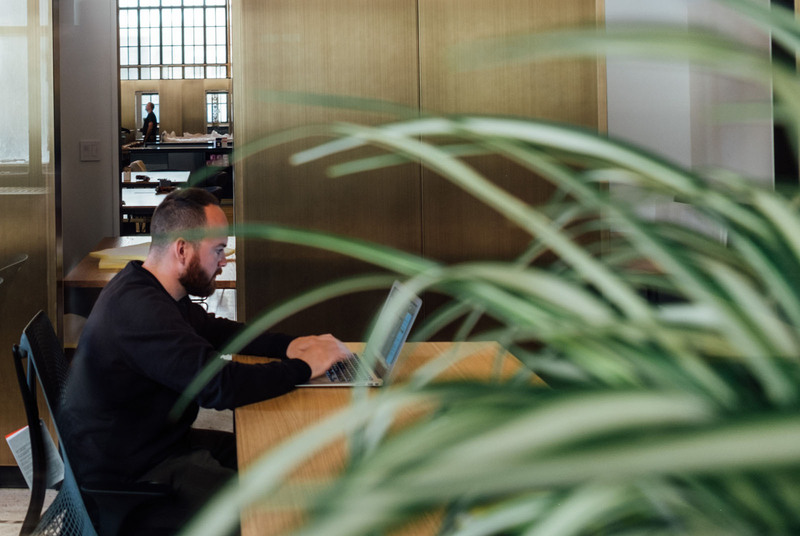 Another Harvard survey of over 200,000 employees worldwide reported that 77% of workers reported that natural light and air quality are important to them, yet only 58% and 38% are satisfied. Could your office benefit from “humanizing” the workplace by bringing in elements of the outdoors indoors? 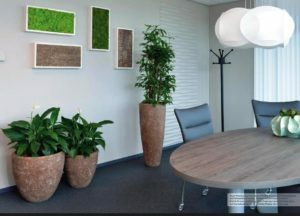 Please share this article with someone you think could benefit from a greener workplace, or call us to arrange a visit with one of our Interior Plantscape Specialists. (800) 749-0124.